Wash the rice and soak it for 30 minutes. Drain and set it aside. 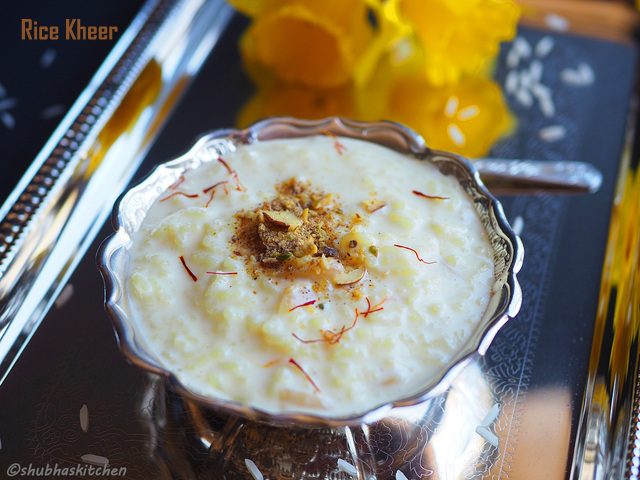 Add saffron to the milk and bring the milk to boil. As the milk starts to boil, lower the heat and add the rice. Cook on low heat , stirring occasionally. When the rice is 3/4th cooked, add the sugar, almonds and pistachios. 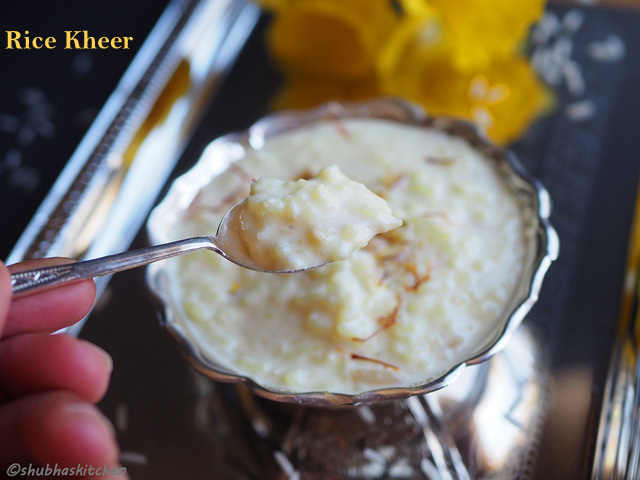 The rice has to cook really well and the kheer/pudding should start getting thickened. When the rice is fully cooked (slightly on the mushy side), add the cardamom and nutmeg.Mix and turn off the heat. Serve the pudding hot, warm or chilled. 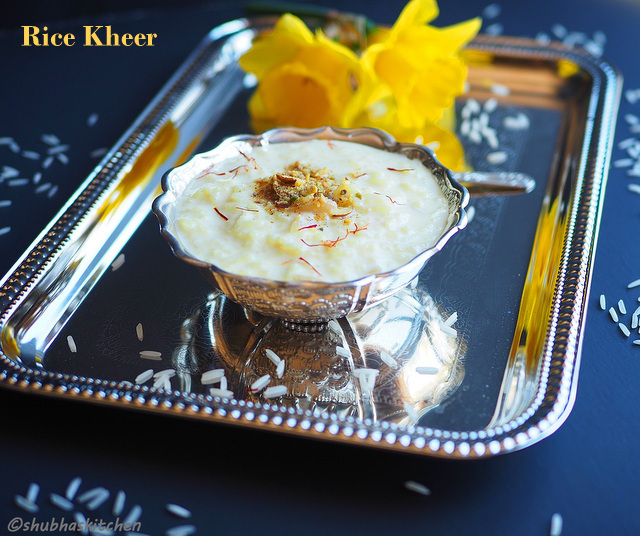 Love kheer and your photos are amazing Shubha! 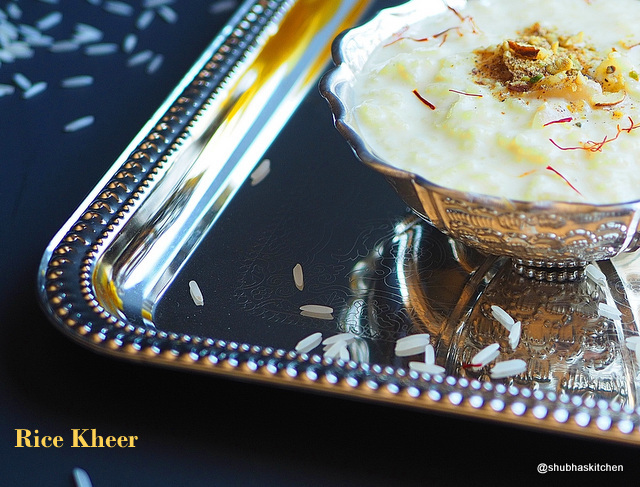 oh such good looking and inviting kheer.. so creamy..